Arrr! Attacked, looted, ‘n took this boat ‘bout 10 years ago. Set out t’ load it wit’ enough cargo fer many years at sea so I be able t’ board th’ forecastle aft a day workin’ as a powder monkey ‘n ‘ave some variety. Thar was a problem though, th’ entire bottom was designed t’ hold wine. 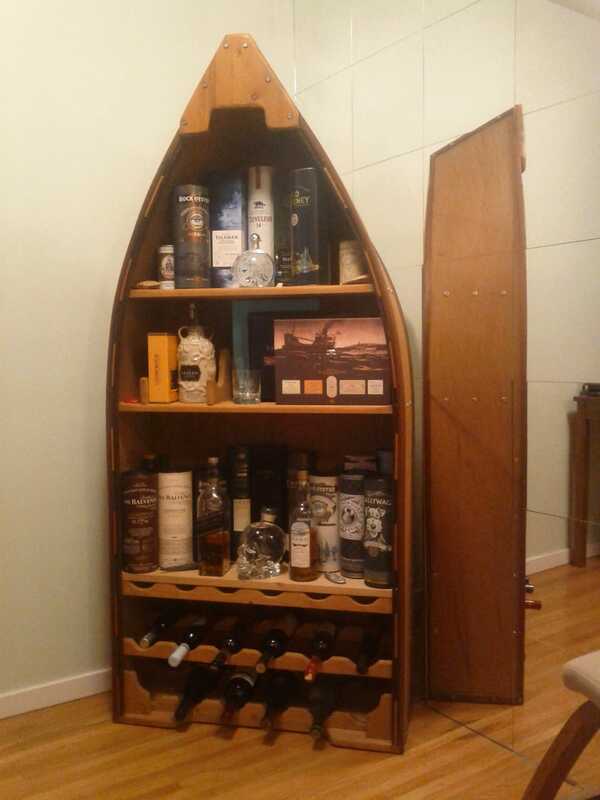 Fer th’ last 10 years this section was empty while middle shelf scotch went t’ a closet hidden from sight. This week I scuttled some rungs, got a solid piece o’ pine, ‘n cut it t’ fit as an additional shelf.